The "real" book will be out in September and can be pre-ordered at a special 25% discount on www.businessmodelgeneration.com. The reason it takes a little bit longer than planned is because we are co-creating the book. Integrating 400+ people in the process is time-consuming, but makes for a better book! A number of those co-creators from our business model book writing Hub also took place in the Business Model Knowledge Fair last Friday. It was extraordinary to see them face to face. They came from many different places: US, Spain, Canada, Slovenia, Germany, and more (12 countries in total - on the Hub participants are from 40+ countries). As to the event: The day was perfectly run by Patrick van der Pijl from Business Models Inc, who moderated the presentations and workshop sessions. The event took place at the “Hotel De Goudfazant” - an innovator's venue. View more Microsoft Word documents from Alexander Osterwalder. 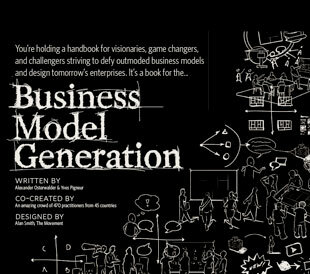 Business Model Generation from FISH EYE media on Vimeo. Then, after his short video intermezzo, four business model innovation practitioners presented their work. Bas van Oosterhout of Capgemini presented his work at DSM, Marielle Sijgers presented Seats2meet.com and Harry Verwayen of Kennisland presented his work at the National Archive. Really impressive what these people are achieving! After the drawing session Tim Clark and Alan Smith took over. Tim presented his exciting and relevant research on the relationship between cultural context and business models, particularly related to Japan. Alan gave us a great insight into design methods and design thinking. Absolutely crucial when it comes to business model innovation. The end of the day was devoted to the business model Hub where we co-created the book. First, Martijn Pater of Fronteer Strategy - a co-creation specialist - outlined the guiding principles of co-creation. Then the participants jointly brainstormed on a couple of questions to continue this business model innovation community: What are the lessons learned? 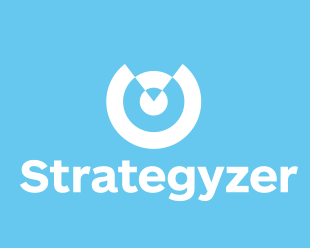 What business model questions remain unanswered. What do we really need to focus on as a community of practitioners. Let's hope this effort will go much beyond the book! If you are interested in buying one of the remaining "broken" & unfinished limited editions of Business Model Generation, of which only 200 examples will ever be printed, you can do that here. The book is printed in black & white, contains about 70% of the final content, of which 50% is fully designed. This limited edition was part of the package of the Business Model Knowledge Fair. What makes it a collector's item is that the print house got the printing wrong. The page order was misaligned, which completely messed up the design and made the book almost unreadable. Buy the "broken" limited edition of Business Model Generation now for $250.- and you will get the final full color print in addition for free this September. Caveat: This is a collector's item of which only 200 examples will be printed. The book is not finished, not fully designed and has a print error.